According to the multiple trusted sources it looks as though it will be the social networking giant Facebook that will eventually be integrated into Apple’s next major release of iOS. The announcement will finally become public at Apple’s Worldwide Developer Conference this month, after a long period of uncertainty.If we look back in the nearest past and recall Tim Cook’s admiration and excitement about how Facebook has developed as a company, along with the buzz about Facebook’s new iOS app that have recently landed in the App Store, it seems that we will definitely hear the announcement about Facebook integration this month. If this assumption ultimately appears to be true, the announcement won’t really be regarded as one of the best kept secrets in Apple history. Anyway, the integration will be a positive move for both companies - the sharing partnership will be extremely useful for the current iOS users with Facebook accounts as they have to face a pretty unfriendly user-experience to use applications that have Facebook addition on a daily basis. Developers too will welcome official Facebook integration along with the official iOS framework, similarly to what already exists for Twitter. However, it is quite difficult to predict how deeply the social network can be integrated into the iOS until we see the official announcement by either Facebook or Apple. 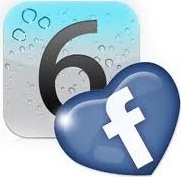 Despite the Facebook integration, some internal changes are also rumored to be announced with the next iOS release at WWDC 2012. 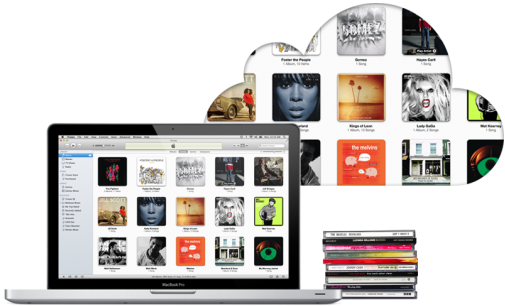 Namely the alterations include the redesigned iTunes, App and iBooks stores, with significant changes planned changes to their aesthetics. However there are no additional details available yet, despite some rumblings that we’ve heard many times couple of months ago. Those who don’t miss the announcements by Apple probably have noticed Chomp acquisition back in February – a company specializing in app search and discovery platform development. The move has been widely believed to be made in order to let users to interact in a more positive fashion with the App Store via the native iOS 6 software. This assumption is still likely to be the case, nonetheless, with no single sign of confirmation. As a conclusion, the change that would definitely be positive for both developers and users is the Facebook integration, as the previous case of Twitter framework inclusion made working with the service so much easier. If the same benefits become available for Facebook as well, the number of satisfied users will immediately go up for both companies. Again, stay tuned, follow us on Twitter and Like us on Facebook not to miss any important update, as we’ll keep you updated as soon as more information becomes available.